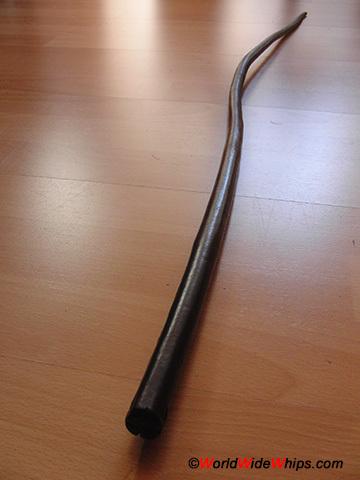 The most elementary version of a sjambok, about 3 ft long, cut from a single strip of hippo hide, then rounded by hammering and rolling between two metal plates. Very old, estimated early 20th century. 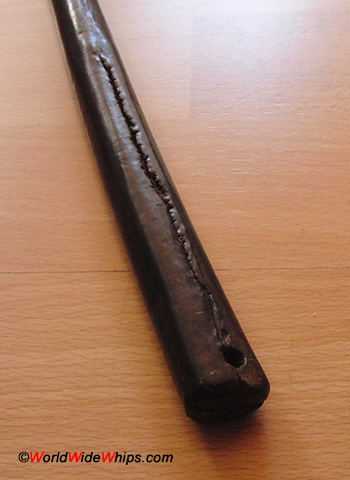 The pattern on the handle is no carving, but remnants of the grain layer of the used hide.